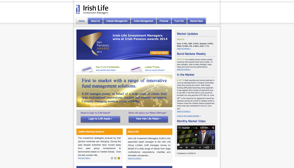 "Irish Life Corporate Business helps me to understand how tax relief works on my pension." When you contribute to a company pension plan, the net cost isn't as high as you would initially think. "I can see how much I should be contributing right now, to get the pension I want." Use our pension calculator to predict your retirement income and expenses. Everyone wants to enjoy a financially secure retirement, so it is important that you begin planning for it now. 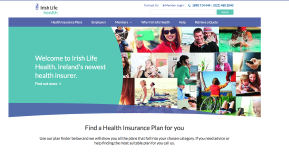 "It's easy for me to keep track of my pension funds, thanks to the various tools provided by Irish Life Corporate Business." Pension Planet Interactive is your central online tool to see all the details of your pension plan. 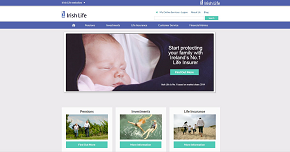 "'Irish Life EMPOWER helps me keep track of my pension fund no matter where I am." Keep up to date with your retirement savings on your smartphone or ipad. Visit the Retirement Planning Centre. Explore the Retirement Planning Centre with its countdown checklists, Budget Planner tool, FAQs and many useful links how to prepare for retirement. Discover your attitude to investment risk. A unique and personal investment strategy for pension scheme members. EMPOWER PLS provides a tailored investment solution for each individual.